5 Bedroom Detached House For Sale in Swadlincote for £410,000. Only 2 Remain Of This House Type! The Valencia House type come with full flooring package, a contribution to legal fees, fully turfed garden and more included in the price!! Open countryside views! Don't miss out! 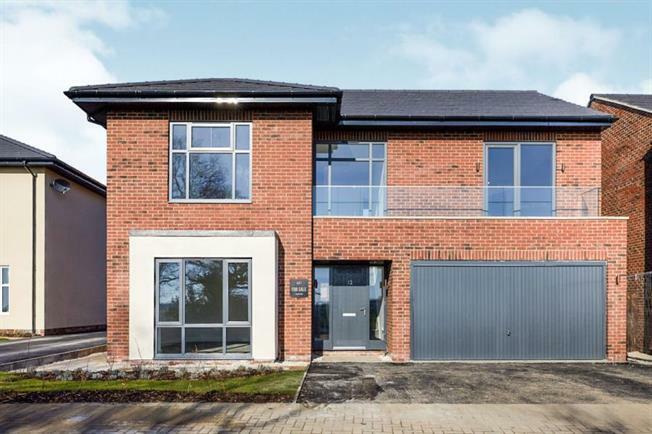 Beautiful 5 bedroom family home with double garage. The Valencia is a five bedroom family home with enviable living space and integral double garage. The entrance hall leads to a living room with a large bay window that lets in lots of natural light. The kitchen, dining and family area at the back of the home has French doors opening onto the rear, enclosed garden. The utility room has a separate entrance onto the garden, and includes integrated fridge freezer and washer. Upstairs five bedrooms lead off an open landing. The master bedroom has two tall windows, dressing area, ensuite and fitted wardrobes. A second double bedroom features private ensuite and three further bedrooms occupy the rest of the landing. The family bathroom has a Villeroy & Boch suite.